Singing, drinks and a cool atmosphere - what is better on a Friday night? 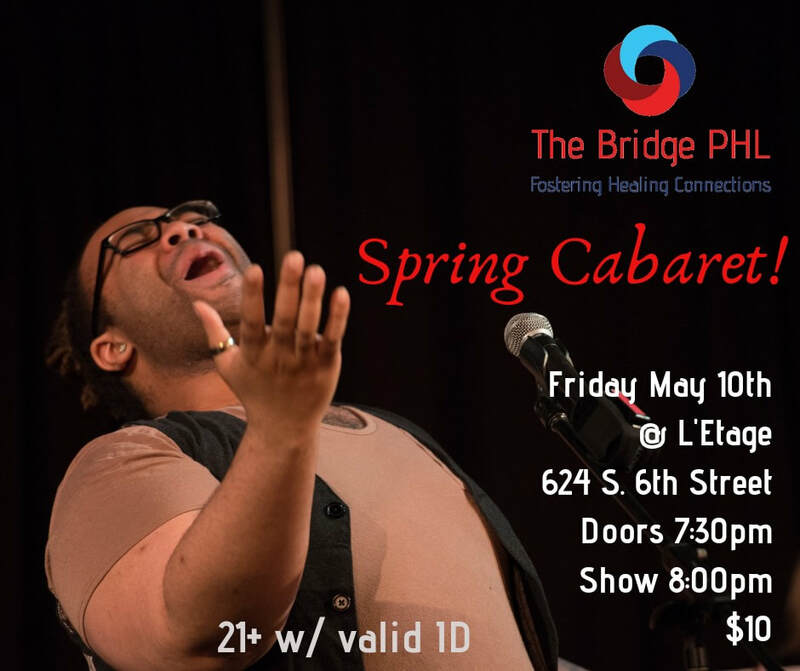 Join us for our 2019 Spring Cabaret! ​Full bar and dinner available. Check back for a full list of our participating artists. Save the Dates! 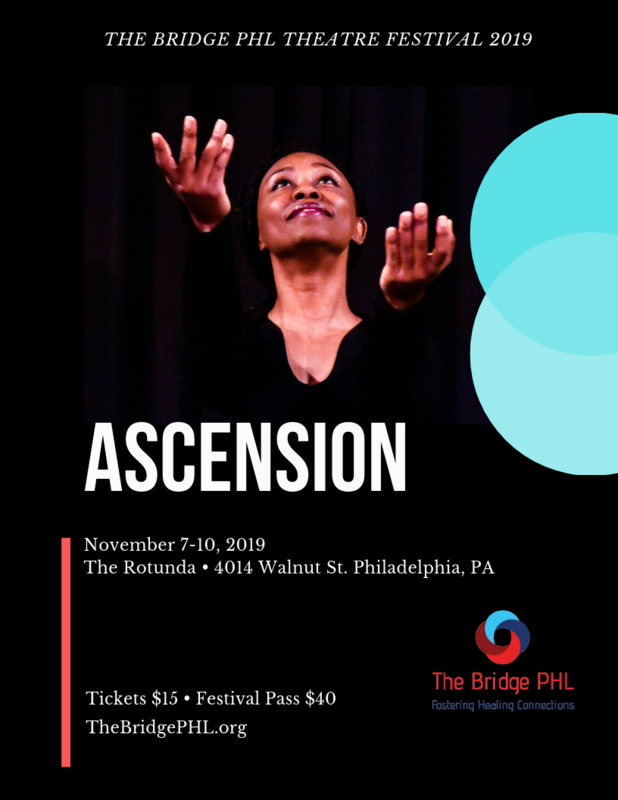 November 7-10th, 2019 at The Rotunda! 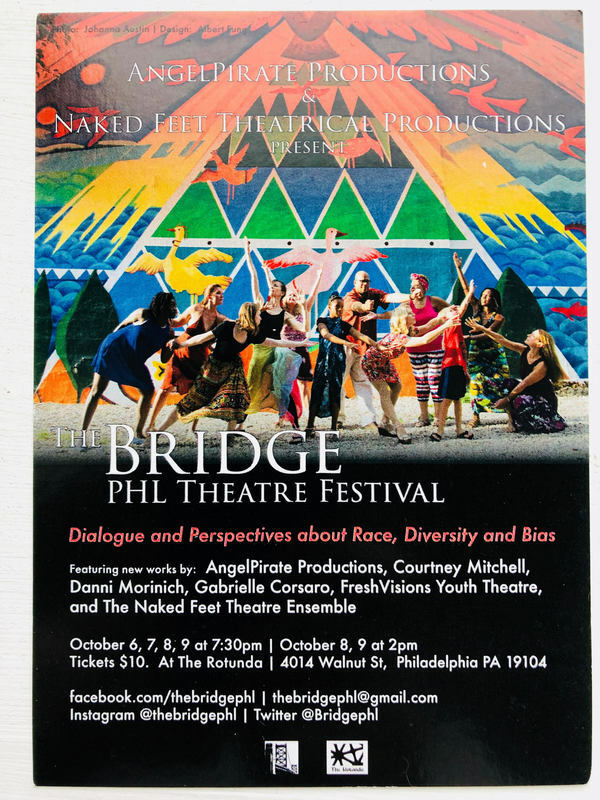 The Bridge PHL was thrilled to take part in the Norristown Area High School Theatre Fest 2019! This annual event is FREE AND OPEN TO THE PUBLIC, and we are grateful to all who came by and took part. 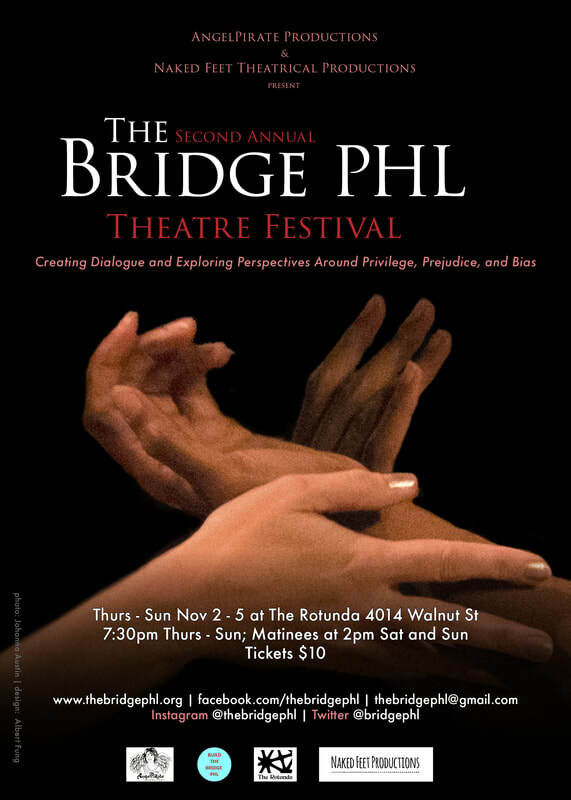 We lead a Theatre of the Oppressed workshop from and spent a lovely day chatting, sharing information about our events and programs, and giving away Bridge PHL swag! 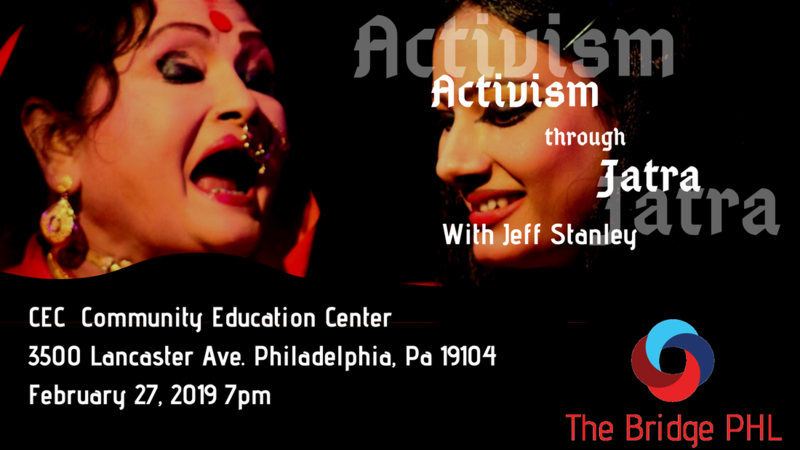 On February 27, 2019 we had a jam packed workshop on Activism through Jatra Theatre led by Jeff Stanley. Our 3rd Annual Theatre Festival was performed at The Rotunda November 1-4, 2018. It was our biggest festival yet and included the collaborative efforts of over 60 local artists. For details, please see our 2018 Festival Page. Thank you to everyone who joined us for our 2018 fundraiser! We had a blast and were joined by some of our favorite performers who absolutely brought the house down. Our 2nd annual festival rocked The Rotunda during the first week of November 2017. Audiences were on their feet, and we are so grateful to everyone who came out to support us. 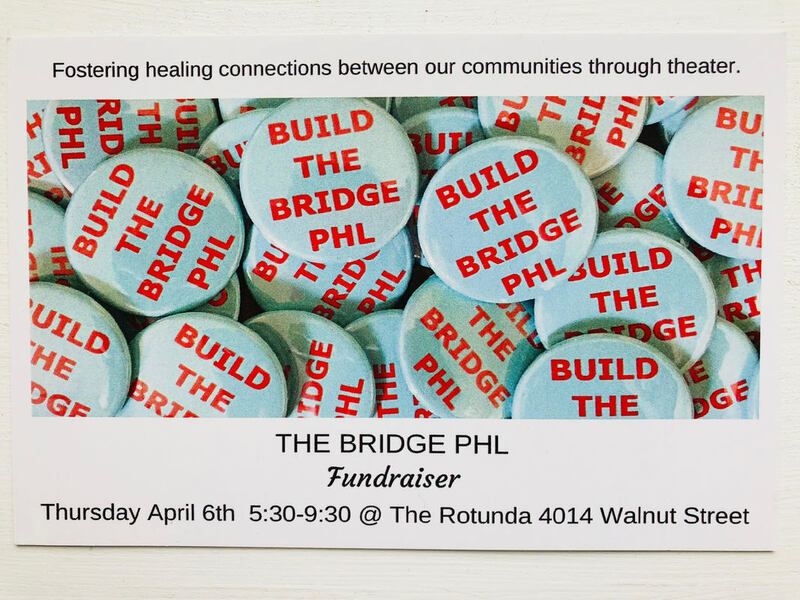 Our first spring fundraiser was a wonderful evening of poetry and comedy, singing, dancing, refreshments, prizes, conversation and community - with a dash of advocacy and activism! A huge thank you to all of the artists who so generously donated their time and talent to help make the evening a success, and to all our supporters for championing The Bridge PHL mission! Our inaugural festival in 2016 was an inspiring and exciting event that we will always cherish. 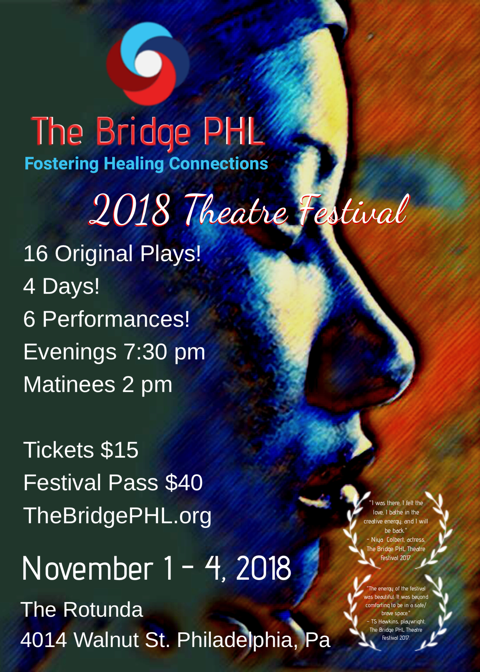 We met so many wonderful artists and made lots of new friends who confirmed for us that The Bridge PHL is a project that was welcome and wanted in our community.